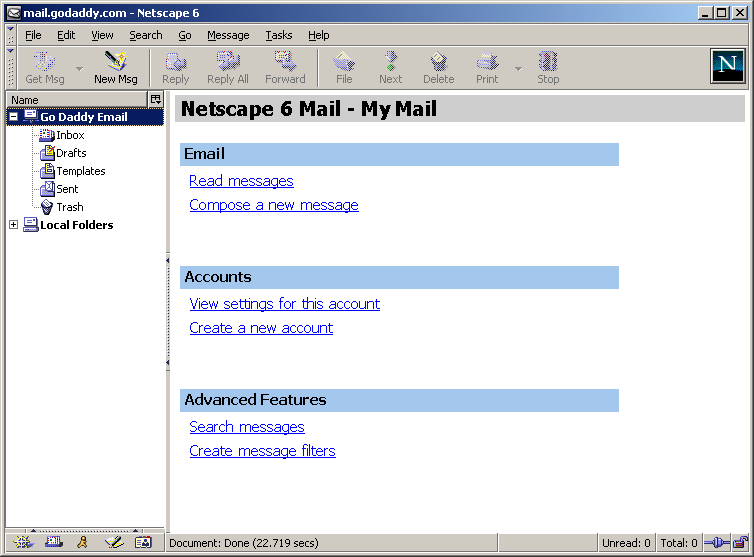 Netscape should now return you to the main Messenger window, with a difference. The folders for your email account should now be listed in the left-hand pane. To see if you have any messages highlight the Inbox folder below the email account and then click the "Get Msg" button. This is the end of this lesson. This is the end of the lesson. Press NEXT > below to finish.